God forgive me, but I used to be so anti-gun that I donated to The Brady Campaign To Prevent Gun Violence. I know. Mea culpa, mea culpa, mea maxima culpa. This is how "BookWorn" starts her Manifesto ... and it is perhaps probably the best single exposition I have ever read which thoroughly describes the process of rejecting the philosophy of "Gun Grabbers" in favor of embracing the values of the Second Amendment. Pour a cup of your favorite beverage, keep the pot warm, and settle back to an hour of nodding in agreement. Expect to hear yourself murmer "yeah, what she said" from time to time. A Magnificent Manifesto, an excellent exposition, and the ONE place to go when you feel the need to defend your constitutional rights but just don't quite know how to SAY it! USPSA will make an official announcement when our investigation is finished and we reach a decision. To do so before that would be pre-mature. The Area 1 Director and myself have responded to concerned Facebook users to let them know we are looking into it on the same channels that the original comments were made. With that said, we hope to have our investigation concluded and decisions made by this week. I've just read the article (via Gunwire ... probably rotated out by the time you read this) and you can click the link at the top of the page to read it for yourself. I will not name names ... which are clearly shown in the referenced link ... because so far there are only accusations and I haven't found anything on the USPSA website (even as a "News Flash") which suggests that the accusations have been officially confirmed by the Regional Autority. And by now *(1730 on Friday) the office is closed, so I can't even call to ask for a statement. The entire weekend remains for rumor and inuendo to proliferate. I won't be a party to assuming guilt without hearing from 'the other side'; I encourage you to wait, also, before you assume anything about the reports. Essentially, a trained and experienced CRO (Chief Range Officer) has been accused of reporting stage times at Level II or Level III USPSA matches to influence the outcome of the match. For one competitor, the stage-time reported by the RO to the person writing the figures on the score-sheet were faster than the actual time taken; for (some) other competitors, the times were slower. ... would YOU be smokin' and jokin' with the sheriffs who are (reluctantly) charged with enforcing anti-constitutional laws on your constituents? Of course not! These guys carry guns and aren't afraid to use them. Considering that a couple of his most ardent supporters have been canned by these same constituents for SUPPORTING this bill, a reasonable politician man would be backpedaling like a bear on a tricycle. But then, the bear probably wouldn't be a Liberal Democrat. Bears are too smart for that. 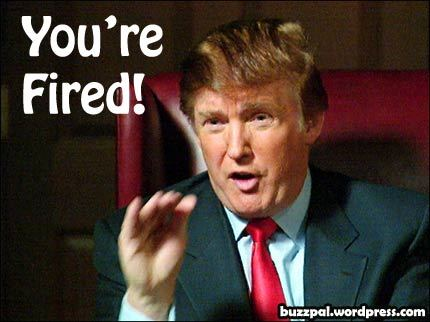 PS: Any executive who blames his staff (extra-credit test: Who Hired Them?) for discontinuities in policy has already served notice that he is not only incompetent, but a raving lunitic who MUST be driven out of office "Most Rikki-Tikki!" I know you're tired of firing Politicians, Colorado, but it's time to serve the coup d'gras on this imbicile. David Codrea of WAR ON GUNS (and the editor for the "GUNS" department on The Examiner).. famous for the phrase "We're the only ones ...") and Larry Correia (of the "Monster Hunter Nation" series of books). Am I the only one who gets them confused? Or am I just the only one who knows about and reads them both? Open Carry Texas demonstrators ... you look like a bunch of buffoons. ... take a chill pill, okay? You may teach your dog not to puddle on the carpet by rubbing his nose it it, but people are a bit more complicated. Home Invasions: "THE FEAR IS OUT OF PROPORTION TO THE THREAT"
It must have been a terrifying scene in the Valdosta, GA home. A 56 year old mother and her 15 year old son were home for the night when two men kicked in their front door. One of the men was wielding a rifle, the other carrying a handgun. They opened fire on the pair, striking the son in the leg and the mother in the arm as she tried to run towards the back of the house. Of course, this is impossible. We know it never happened because the Gun Control Advocates tell us that the whole concept of "Good Guy With Gun Stops Bad Guy With Gun" never happens. I enjoyed your conversation on Up with Chris Hayes. You mentioned the risk of home invasion, and the realistic fear that the cops just wouldn't get there in time. That's obviously a primeval motive to have a gun by the bedside or whatever. [My note: "primeval"? As in "outdated" or "Neanderthal"?] But the fear is also easily out of proportion to the threat. I had the Chicago police run the number on homicides. In 2011, precisely one homicide listed "burglary" as the motive ... [My note; perhaps true in Chicago, where they shoot each other on the street and on their porch] ... Nationwide, there are about 100 burglary-homicides every year. When you compare that to more than 18,000 gun suicides, the conclusions seem pretty obvious. We are all grateful for their reassurance that, if we just give up our fears and give up our guns, or at least stop TRYING to stop random shootings or protect ourselves, our family and our home with guns, all would be peaceful and beautiful here in Never-Never-Land. After all .... "the conclusions are pretty obvious"! (Unless, perhaps, you are one of the unfortunate victims of "... about 100 burglary-homicides...). Some workers at the Centers for Disease Control and Prevention may have been accidentally exposed to dangerous anthrax bacteria earlier this month because of a safety problem at some of its labs in Atlanta, the federal agency said Thursday. While trying to find ways to detect the deadly disease, the research people at Atlanta did a bit "oopsie!" today. CDC officials say the risk of infection seems very low, but that about 75 staff members were being monitored or given antibiotics as a precaution. "Based on the investigation to date, CDC believes that other CDC staff, family members, and the general public are not at risk of exposure and do not need to take any protective action," a statement from the agency says. My father ("Pop"), was a Life Member in the NRA. He was such a "gun nut" that he purchased those goofy-looking binders where you could store a year's issues of the NRA magazine "The American Rifleman" (which was the only publication they had, and came automatically with your membership). I remember as a teenager going into the "den" at home and taking an annual volume of American Rifleman down for 'casual reading'. Actually, it wasn't all that casual. I was fascinated by the articles, the stories ... and the columns. My favorite column was "The Armed Citizen". Looking back, it seems like "Surfing The Net" for interesting news stories relating to --- well, an appreciation for stories which told how common, ordinary people were able to protect themselves, their families and their homes. The stories were presented in a consistent format ... pithy, terse, they were like the first paragraph of a well-written newspaper article. The only downside was that there was no means to get (as Paul Harvey use to say) "The Rest Of The Story". I've only just now discovered that same format and collection of stories (including 'archived' stories) is available online, with three stories published daily. The Armed Citizen Blog - American Rifleman: Read three more amazing stories of self-defense in the latest online edition of The Armed Citizen. The format remains the same. The good news, there are now links to the publication; bad news, there are no links to the actuall story. boo hoo. So I've been looking through the stories, and my appreciation for the rawest national inforation on what is, essentially 'raw data' hasn't changed. Thanks, NRA, for continuing with your traditional format and for making it available online. PS: My father had about 50 years of magazines when he died. I inherited them, but one day I had to move and rather than haul a trailer load of binders, I sold them to a book store for a buck a year ... and while the time I was glad to have the cash, I've always regretted my short-sighteness. Go, look; they have pictures! Have I ever mentioned my disgust of the Hypocracy of Liberals? Last Month, it was "The Brady Campaign" and "Washington Ceasefire" who doubted the credibility of the "NO FIREARMS ALLOWED" sign on the door of Town Hall Seattle building. The only guns allowed there were carried by the armed security hired to protect Gross and Fascitelli. One might almost believe that this cognitive dissonance is endemic to the Liberal Left. It's certainly characteristic of peope who arbitrarily want to take away the rights of others. Are Police Better Shots Than You? This summer, I’ll be accompanying my sister (a teacher, by the way) to her first real gun class since she took her concealed carry course. It’s a one-day class with a top-notch instructor. The course description says students should bring 300-400 rounds of ammunition, and tuition is $150. In that one day, my sister and I will each expend at least twice the amount of ammo an average cop shoots in a year, doing productive skills training under the supervision of a pro instructor. I’ve been a police officer, and I understand the conditions of the job. I give them full marks for the dangerous, difficult job they do. They work hard and the vast majority will do their very best to help you in your time of need, risking their own lives in the process. What do Alan Gottlieb and I have in common? Neither of us have ever heard this song before. It takes a big man to admit that everything he has worked for has been "Full of Sound and Fury, Signifying Nothing"! 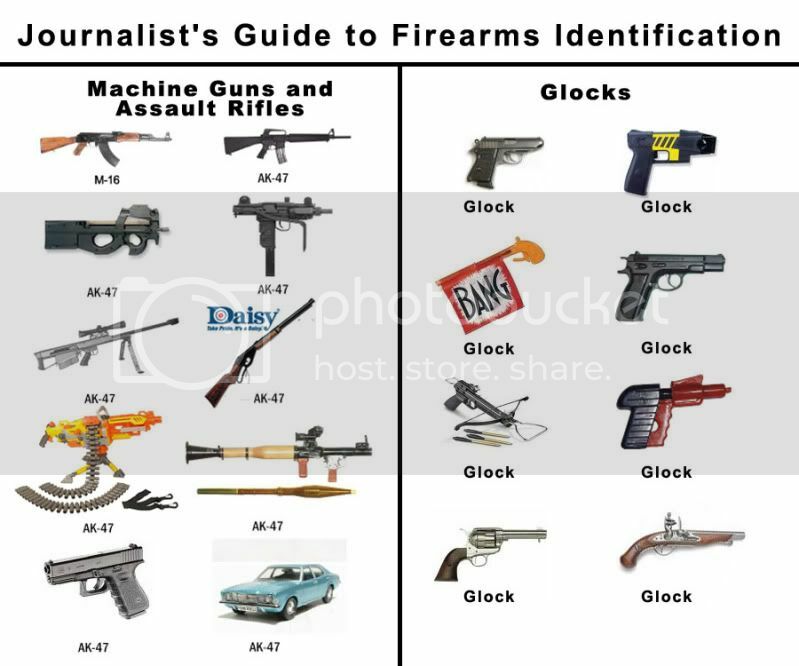 Perhaps Mark Glaze should apply for an internship with the NRA? My Cell Phone is Smarter Than I am. I hate that! At random intervals .. from once a day to once every two weeks .. my cell phone BEEPs me. There are never any incoming emails. No Text Messages. A total dearth of input. But the phone BEEPs me, anyway. The GEEK explanation is that I don't understand the power of the Smart Phone, which is true. But am I the Only One who is arbitrarily harassed by his Android? The PSYCHOTIC explanation is that the phone doesn't BEEP me; I'm just depressed because nobody else seems to call, or write, and I imagine it BEEPs me because I'm Too hungry! My PERSONAL explanation is that it's lonely, because I neither get nor give traffic; I detest phones, which (in my opinion) are present for my convenience, not for the convenience of others. Which is probably wrong, because most of my actual calls are from strange people whom I've never met. So I'm wondering ... is a Smart Phone like one of those electronic key-chain games, which you have to 'feed' regularly or it will 'die'? Thereby laying a great burden of guilt because you aren't a good parent? And I wouldn't mind the BEEPs which come at 3:15 am if there was some other insomniac idiot on the line who just needs someone to talk to. (I'm pretty good about ignoring people, as my ex-wife would confirm.) but answering a BEEP when I don't even get to hear the anonymous white-noise which I was accustomed to --- that's a bit scary. Maybe my Smart Phone knows that I hate it. Is this Revenge ON The Nerds? A Little Man who was not there. Oh how I wish he'd stay away!" nekulturny is Russian for "uncultured." Only Americans have been charged of this on Wiki. Please explain this prejudice instead of indulging in DisagreeByDeleting.At the least, please don't deprive us curious Americans of the opportunity to learn a few Russian words.In Russian, it would be nekulturnyj amerikanec, Nekulturny American is Slovak. So, Russians consider Americans to be nekulturny. As it happens, many Americans (aka 'them funny-talking Easterners', aka 'Liberals') agree with the Russians. Here's an example of that attitude, snidely insinuated in this June 17, 2014 article in WAPO. Just last week, a Pew Research Center survey found that liberals are much more attached to their museums than conservatives are: 73 percent of "consistently liberal" Americans say that being near museums and theaters is an important factor in choosing where to live. Only 23 percent of consistently conservative Americans say the same. Considering that divide, I thought it might be useful to map museums and libraries against an institution that conservatives might be more fond of: gun stores. The inspiration here was Nathan Yau's recent map of where bars outnumber grocery stores. I took the IMLS' museum counts from last week and added to their count of libraries. The idea here is that museums and libraries play similar roles, as institutions of informal learning where students and adults can go to learn more about their communities and the world around them. Completely ignoring the demographics of the crowded Colony States as compared to states which have more room between people and more of them live in rural areas, the implication is Conservatives (most of whom don't live in DC or NYC or Boston or ... whatever megalopolis one might choose to name) really have little interest in either museums for the culture, or libraries for the knowledge. Which boils down to this: Conservatives are Nekulturny. Hence, the map which displays the proportion of gun stores to museums and libraries. Which can be quite dramatically demonstrated in the original article, which you might find especially interesting. If sometimes misleading. For example, in my small community of 40,000 (when the University has its usual 30,000+ students attending during the school year) there are three libraries and three museums. There are zero gun stores in this, the County Seat. However, there is one gun store in a nearby community of about 1,000 permanent population, which has two museums and one library. But the most gun-heavy county is in Oregon. Gun stores outnumber museums and libraries by nearly seven-to-one in Deschutes County, Ore., giving it the most lopsided ratio in favor of gun stores among counties with at least 10 of each. Hmmm .... Deschutes County. Located dead center in Oregon. Elevation 3600 feet, annual rainfall TWELVE INCHES; it's high desert country. They have four towns and a bunch of ranches. Population in 2011 less than 160,000 spread over 3000 square miles about 55 people per square mile. There are only four incorporated towns in the entire county. Industries? Tourism and Timber. Culture? One museum, and at least one library. Folks don't 'go to town' all that often. But what they can do is step outside their door and hunt or plink at targets any time they want to, and the neighbors won't call the police in blind panic at the sound of gunfire because ... "Hey Maybelle ... sounds like Hank is practing for that SAS match over at Bend next weekend". Keep in mind that these two quantities aren't diametrically opposed— there's no reason you can't be a fan of both guns and museums (there is in fact a National Firearms Museum run by the NRA in Fairfax, VA.). But viewed in relation to each other guns and museums give some sense of a community's values. As my colleague Emily Badger wrote the other day, we live in places that reflect our values, and many of us are sorting ourselves into communities that share our political views. Yes, Mister Wonkette. We Oregonian may be nekulturny, but at least we're not condescending snots. Obama-isms: 40%: Presidential Clue-Bat on "Universial Background Checks"
I spent last Christmas (December 25, 2013) with my son the Squid Kid and his family. I gave cash to my grandchildren, family heirlooms (Edison Lamp, Crystal Pitcher) to my daughter-in-law), and firearms (revolver and rifle) to my son. All of my gifts were part of my inheritance which I received from my mother; I wanted my children to benefit from my progeny. I could do this, because there were no laws which restricted my freedom. Can't "ban" guns? Let's mandate INSURANCE - and tax it! In 1993, NY Senator Daniel Patrick Moynihan proposed a graduated Federal tax ranging from 55% to 10,000% on ammunition. This wasn't a fiscal measure; it was a punitative imposition on the Second Amendment. Did it 'infringe' on your right to own a firearm? No, it did not; only on your ability to buy ammunition. It's not about violence. It's about money, control, and the growth of government. Here is a good CURRENT example of that abuse of power: proposed by a purported Gun Owner. Let's remove all 'restrictions' from guns; but let's make gun owners buy "insurance" depending on how powerful the gun is, how many bullets it can hold, and a bunch of other things that maybe we haven't thought of yet. Make gun owners pay through the nose for their noxious toys, and use the money to fund 'free' Mental Health.